Ever since the Federal Reserve was required to issue rules on interchange fees, or the fees card companies charge merchants for transactions, the average transaction cost on debit cards has been cut in half. The Federal Reserve capped the transaction fee according to a formula that brings most fees down to less than a quarter. The average debit card transaction, which the Fed reports is $38, would carry a 24 cent fee, for example. Before the new rule, those transaction costs had been hotly debated: Merchants argued that debit card companies were unfairly overcharging them, while the debit card companies argued that the fees were justified by the services they offer in return, such as easy payment processing. 1. The debit card fee pays for convenience. 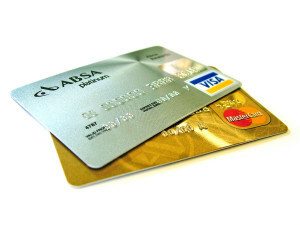 Debit card issuers are providing a service to not only cardholders, but to merchants as well. It is reasonable that there’s a fee associated with that service. In other words, customers can walk into almost any store, anywhere in the world, and use a debit card to fund their purchase. Retailers, in turn, are able to offer their shoppers a variety of payment options. Those perks require networks that cost money to run. 2. You’re not necessarily paying the debit card fees—merchants are. That’s why merchants are complaining so vocally about them. Interchange fees can be an expense on par with payroll and rent, according to the National Association of Convenience Stores. There’s some debate over whether or not merchants simply pass the cost directly on to consumers. One study of what happened in Australia after the government regulated interchange fees found that it was impossible to determine whether merchants passed on price reductions to customers, partly because prices are determined by so many factors. (The study was funded by MasterCard and performed by an independent economic consulting firm.) Merchants generally insist that shoppers are the ones who are ultimately paying for the interchange fees, while the card industry says retailers simply bank the difference. 3. Interchange fees tend to be lower in other countries. At least prior to the new regulation. A report released by merchants and retailers reported that before the regulation went into effect, debit card fees in the United States were among the highest in the world—higher than the fees in Canada, Europe, and Britain. 4. When interchange fees go down, other fees can go up. After Australia restricted interchange fees, the study funded by MasterCard found that annual fees charged on credit cards went up by 22 percent on standard cards and by 47 to 77 percent on rewards cards. That’s because when card companies face dwindling revenue from one source, they often look for ways to make up for it from other sources, for example through new account fees. In fact, the video rental service Redbox announced in October of last year that it had to raise prices by 20 percent ($1.20 from $1.00 for a daily standard rental), largely because the interchange fee changes lead to higher operating expenses. 5. Card companies are not happy with the new rules. Through the industry group Electronic Payments Coalition, card companies fought hard against the new interchange fee rules, but they ultimately couldn’t stop the new regulations. Since the Fed’s new rule went into effect in October 2011, the coalition has released data on the negative impact: It says merchants are not passing on any savings to consumers, but instead are charging the same prices and pocketing the difference. The group says the changes resulted in an $8 billion windfall to the retail industry. “There continues to be no evidence that retailers are passing along savings from this windfall—even at gas stations, where a debit card is the overwhelmingly most popular form of payment,” reports the coalition. Debit card fee restrictions, it turns out, are often far more complicated than they first appear.